Bring your towel and bathing suit to enjoy the music and the sun around the pool as it is open again! Traiga su toalla y traje de baño para disfrutar de la música y el sol alrededor de la piscina abierto de nuevo! (at least in Escazu near the Country Club - at my base. We had HAIL literally the size of 500-colon • 50¢-US$ pieces & 3/4-1" thick (didn't have my camera working for that. Note the storm only lasted about 20 minutes - but it was 20 HARD minutes). SO WHEN IS RAINY SEASON IN COSTA RICA? 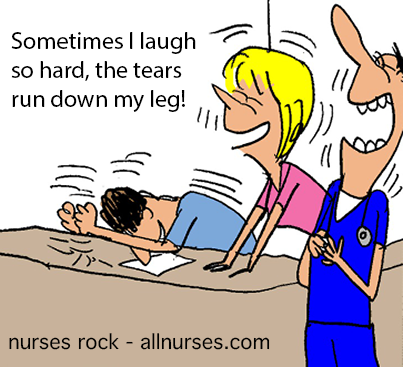 #1 - it ALL depends on where you are. I'll elaborate on it later but at least in the most heavily populated area of ExPats - MY observation in my nearly 10 years living in the ESCAZU•Central Valley•San Jose, Costa Rica area - is that Rainy Season doesn't really get going until around late May-ish/June-ish till around November/December-ish with the heaviest rains around September-October. Also, the higher in the mountains you go, the higher your chances of getting rain are. Standard Rule of Thumb is if it's HOT in the morning, you heighten the chances of having a rain storm in the afternoon. Bottom line - between these months - you're WISE to have an Umbrella &/or Rain Poncho with you. 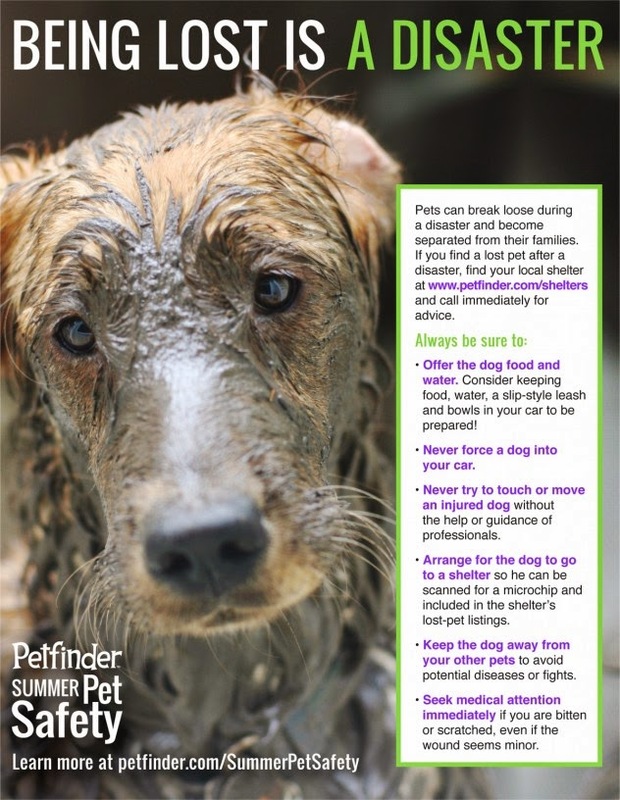 This is a HELPFUL INFORMATIVE DETAILED FORMAT to consider using when you have a Missing or Found pet. 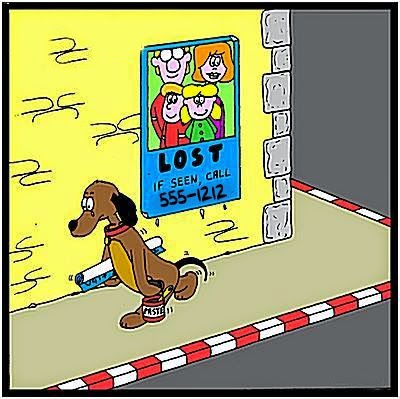 I find the more DETAILS you can give - the better chances you have at a happy ending!!! 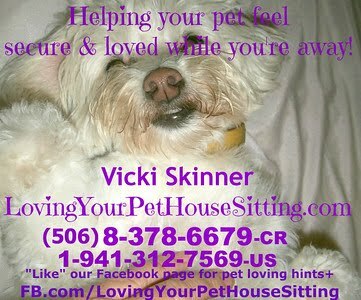 Get a few pictures as SOON as you get a pet & take pictures regularly - just in case!!! FOUND (more like RETURNED HOME from a week "away") - May 1!!!! Blanquita (female) is a white with black markings little terrier kind of dog (no pictures as she was a recent rescue pup). She's a little nervous & excitable but very sweet, fun loving, adventurous dog that loves to run all over. Near the "end of the Boulevard" across from the entrance to the British school. She knows/likes to go to the park called El Parque de las Piedras because it has a lot of rocks so perhaps people can keep an eye open for her. We left Saturday to be away for the day. Blanquita really really wanted to go, but we were going to places where we wouldn't be able to take her out of the car. Maybe she tried to follow our car up the Boulevard. When we came home later in the afternoon, she was gone. We had left a window in the front room open a crack, & we figure she learned how to squeeze out of there. Gail wrote "She loves to go in the car and sits and looks out and I swear she knew where we were headed. I always told her, Car...and Piedades...or Finca and she got very happy. She was mad that I didn't take her that last day but really, i couldn't...i left her baby toys for her and she had plenty of food and water." She is a smart dog, a street rescue dog who was originally found running around the highway in Cartago. She just likes to run out. She has gone out before but always when we can see her and always comes back. No sign of her anywhere. Maybe she will come home on her own? If not, pray that she is with a loving person & being appreciated. Here family is REALLY missing her!! (it's ok to leave a voice message. A fabulous educational opportunity with a focus on Birding 101, no experience is necessary just a love of nature. Learn the essentials of the birding experts, how to use your binoculars properly, what to look for in the field, tips on bird identification, how to spot those majestic yet camouflaged birds in their natural habitat. Learn how to listen and identify the melodic calls that we hear every day in Costa Rica. This early morning event, will start with coffee and muffins to charge your batteries and will end with a delicious healthy brunch. Led by Patrick O'Donnell a well renowned naturalist guide, you are guaranteed to come away with a wealth of birding knowledge. Horseback Riding will be offered after the event for a special price of ₡10,000 per person. Binoculars, if you have them- a bird book and or, the Costa Rica Birds Field Guide app, and a small notebook. Limited to 20 people, reservations required. What does jajajaja or jejejeje mean?? and you wonder "What the heck are they talking about??" 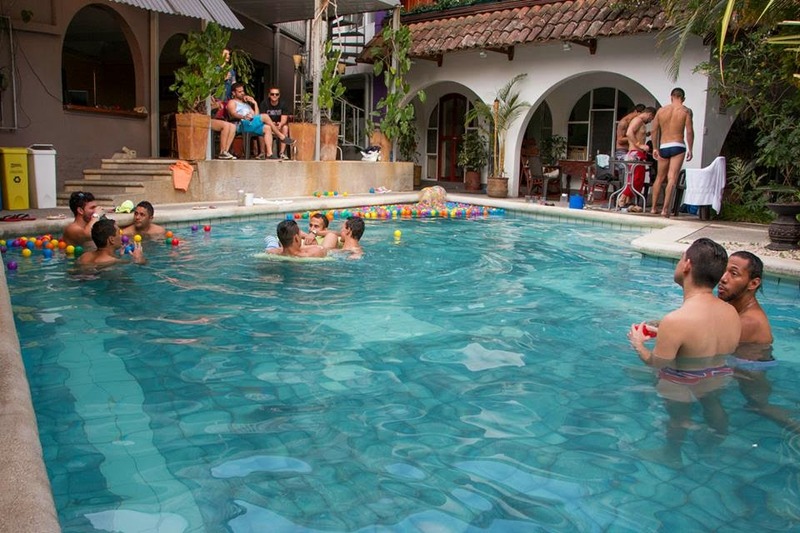 Another Living Life in Costa Rica Hint!!! Democrats Abroad Costa Rica•DACR - Monthly Meeting - APRIL - "US Tax Compliance for US Citizens Living Abroad"
US Tax Compliance for US Citizens Living Abroad. We will be live via Skype with Washington DC tax lawyer Christopher M. Klug, Esq., LL.M. 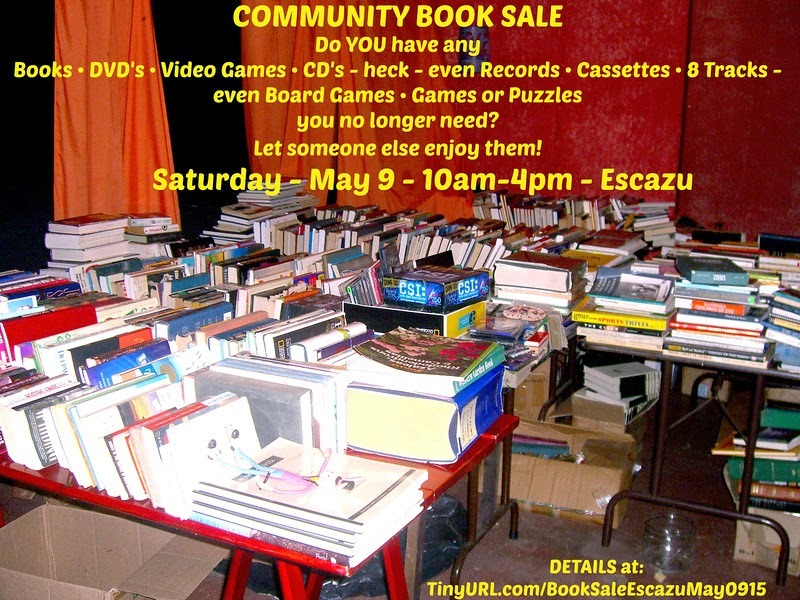 The Escazu monthly Community Garage Sale group is going to do a separate small BOOK SALE on Saturday May 9 in Escazu - for whomever wants to join in to sell their books at (this is not an ad for that - it's preface for below). BUT - I'd like to offer the option for sellers or just anyone with books they no longer need to drop off books to donate to some cause/charity doing their own big book sale - BUT - I'm having a challenging time finding such a cause these days. 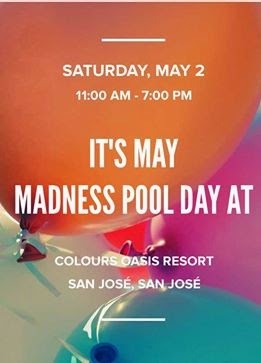 Looks like the San Ramon Community Action Alliance is not doing a sale this year & I have not heard back from anyone else. I KNOW there are LOTS of people with LOTS of books they'd like to get rid of - especially to a good cause - it would be a waste to let this opportunity go. Any ideas?? Anyone know any charities that could use/create such a benefit? At least the people I'd be promoting to - most books would be in English. They would HAVE to pick them up THAT DAY around 4pm. Let someone else enjoy them at the Community Book Sale! We're working on trying to find a charity to donate any no longer needed books so keep checking back. Convencí a Marcos Jassan (mi amigo maestro, testigo y con un GRAN conocimiento de la practica de yoga) para venir a Costa Rica a dar su teacher training de 500 horas!!! Para mi el mas completo que hay!! Ayurveda, campo energético, chakras, filosofía, yoga sutras, espiritualidad profunda, manejo impecable de la anatomía del cuerpo y una GRAN SENSIBILIDAD DE SANACION INTERIOR! (va a haber comida deliciosa y super saludable para apoyar la practica. Hotel a 15 minutos para las que quieran quedarse! This is an opportunity for U.S. Marines to associate with other Marines to preserve the traditions and promote the interests of the United States Marine Corps. 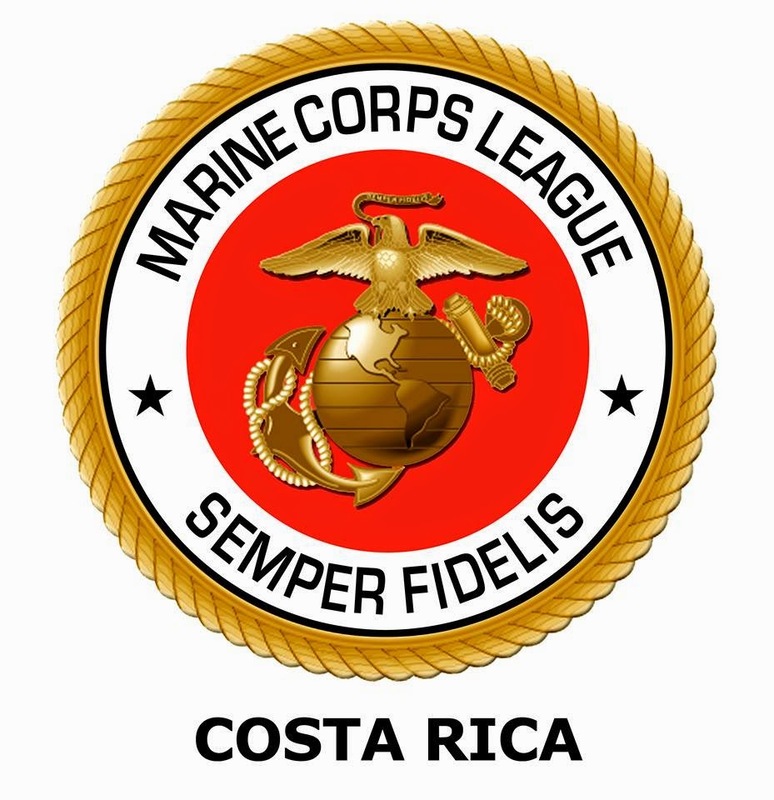 Their goal is to offer camaraderie to Marines and Naval FMF Corpsman living in Costa Rica, and to give back to their adopted country. A lot of focus on what they do (year around) is helping orphaned children and poor children. • VETS HAPPY TO HELP!!! 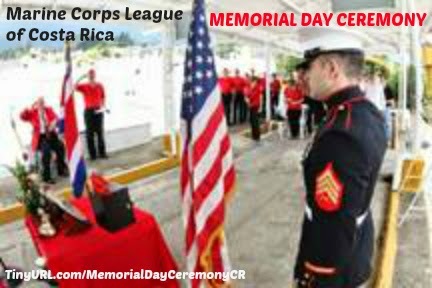 Vets • Members of the Marine Corps League of Costa Rica, family and friends dedicate roses to the 6 Marines buried there. All are welcome. Uniform of the day requested. After the service they will lunch at RostiPollo restaurant in Escazú. El principal objetivo de esta feria es promover la comercialización de productos agro-alimentarios y servicios con valor agregado, dando a conocer a las micro, pequeñas y medianas empresas que representan la mejor calidad de de la oferta nacional y apoyando en este proceso a las empresas de zonas rurales. 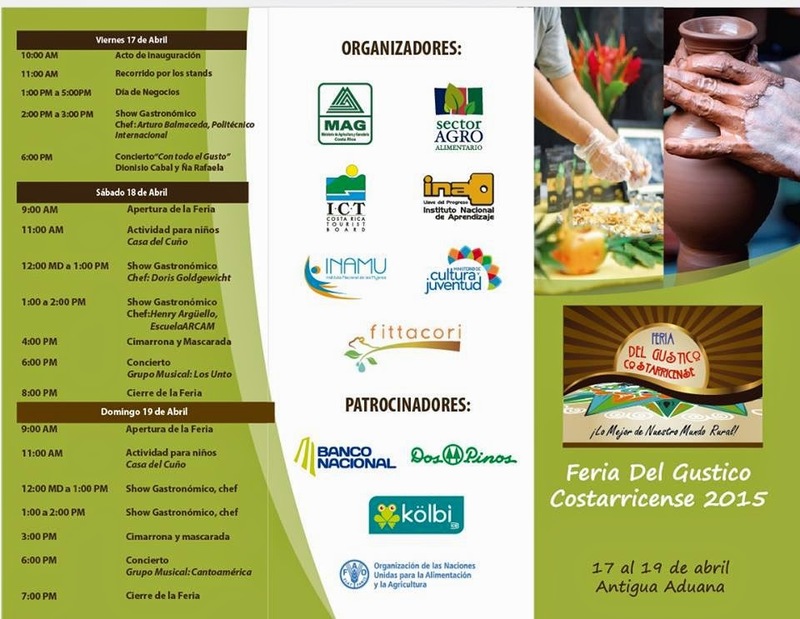 The main objective of this fair is to promote the marketing of agro-food products and services with added value, revealing micro, small and medium enterprises represent the best quality of domestic supply and support in this process businesses in rural areas. La actividad es organizada por el Ministerio de Agricultura y Ganadería (MAG), Ministerio de Economía Industria y Comercio (MEIC), Ministerio de Ciencia y Tecnología (MICIT), Municipalidad de San José, Promotora de Comercio Exterior (PROCOMER), Instituto Nacional de Aprendizaje (INA), Instituto Costarricense de Turismo (ICT), Instituto Nacional de las Mujeres (INAMU), Centro Nacional de Ciencia y Tecnología (CITA), Cámara de Exportadores de Costa Rica (CADEXCO), Universidad de Costa Ricamité que asegura la calidad de los productos exhibidos. Además se cuenta con el apoyo de empresas privadas, organismos internacionales y otras entidades públicas que actúan como patrocinadores. 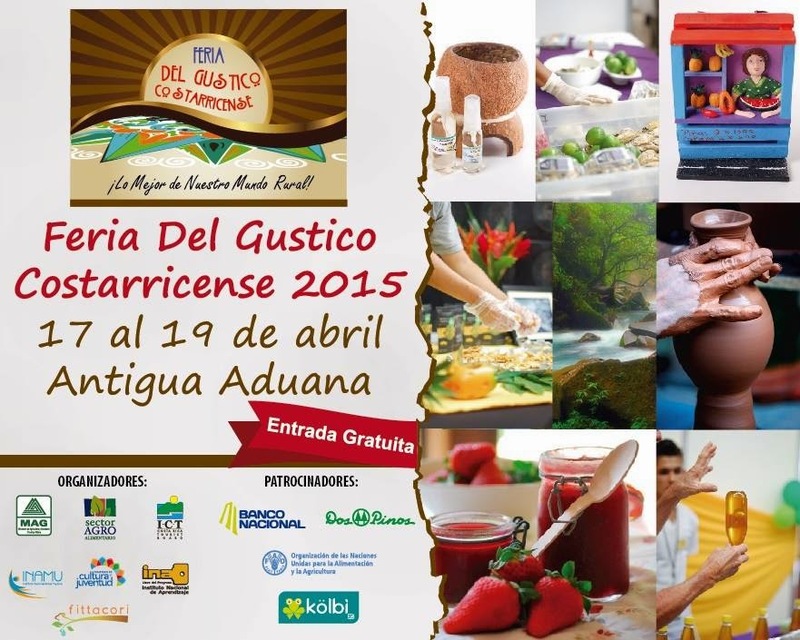 It is also supported by private companies, international organizations and other public entities acting as sponsors. La feria reunirá los productos que representan lo mejor de la oferta nacional del sector agroalimentario, artesanías, comidas y servicios con valor agregado de PYMES Y MIPYMES de Zonas Rurales. The fair will bring together the products that represent the best of the domestic supply of food industry, crafts, food and value-added services to SMEs and MSMEs in Rural Areas. Cada empresa es analizada y aprobada por un comité que asegura la calidad de los productos exhibidos. Each company is analyzed and approved by a committee that ensures the quality of the products displayed. MUJER: "Fuente de Vida y Poder"
El mundo está repleto de mujeres extraordinarias que aún desconocen qué tanto pueden brillar. ¿Qué tal si corres la voz aquí en Costa Rica para que ellas vengan contigo, y así juntas comencemos la mejor aventura de nuestras vidas? 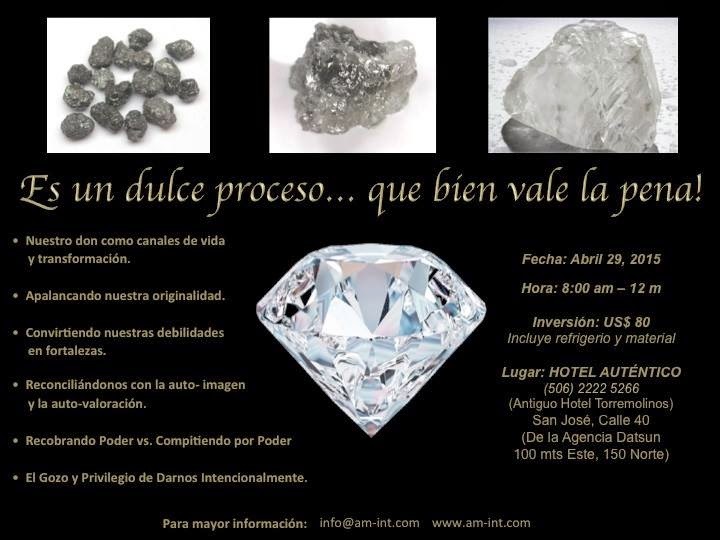 Cada detalle y SORPRESA que he estado preparando para este taller que te dedicaré el próximo 29 de abril, me llena de mayor alegría e ilusión pues sé que puede marcar el renacimiento de tu mayor potencial y libertad auténtica. 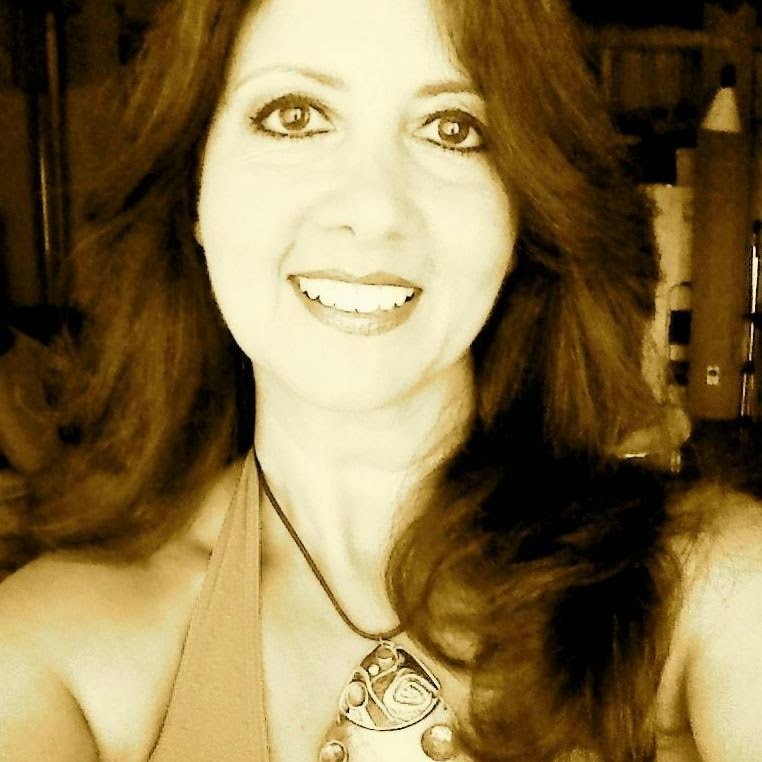 Coach Integral de Vida, certificada en PNL (Programación Neuro-Lingüística), Canta-Autora, Charlista Bilingüe Internacional. Quedan pocos días para aprovechar el precio especial. ¡Asegura tu espacio a tiempo! Descuento adicional del 5% por cada invitada, si todas pagan en un sólo depósito antes del 15 de Abril. 24 de Abril (precio regular). 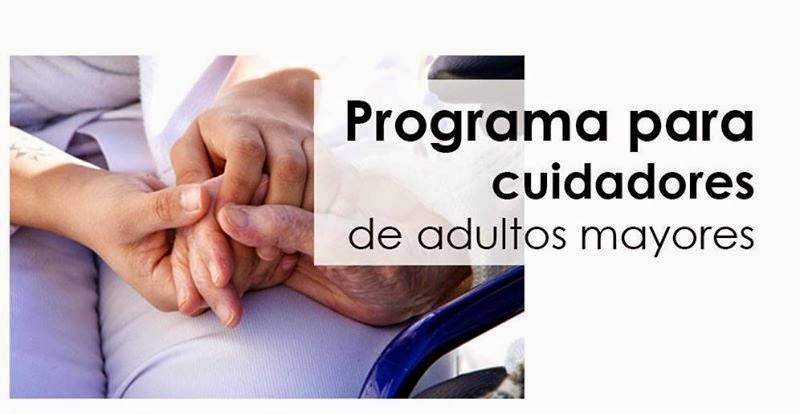 Favor enviar comprobante a: info@am-int.com con el detalle: Taller "Mujer de Poder 2015"
Un programa para la atención de cuidadores de adultos mayores puso al servicio de esa población, el hospital Rafael Ángel Calderón Guardia con el que se pretende darles apoyo psicoeducativo y psicoterapéutico y evitar que sufran el “síndrome del cuidador”. Este síndrome conocido también como cuidador quemado es cada día más frecuente entre las personas que se encargan de la atención diaria de pacientes adultos mayores o con enfermedades terminales, incapacitantes o degenerativas, y puede causar en las personas responsables de estos pacientes: estrés, ansiedad, depresión y frustración. Tales condiciones los pueden hacer vulnerables a sufrir alteraciones físicas, emocionales y sociales, que pueden desequilibrar muchos aspectos de su vida y crear otra clase de conflictos que puede complicar su diario vivir. Según el doctor Elí Chaves Segura, jefe del servicio de Geriatría de ese centro médico que está a cargo del programa, es muy frecuente que los hijos, esposos y otros familiares que asisten a la consulta de Geriatría y son cuidadores expresen su necesidad de contar con una red de apoyo que les permita compartir con otras personas sus experiencias y como sobrellevar situaciones difíciles de las personas que cuidan. Con ese propósito, se abrió este programa de manera que ellos se sientan más acompañados en este proceso. Este grupo consta de 12 sesiones de trabajo que se realizan los días martes de 1.00 p.m. a 3.30 p.m. en el Servicio de Geriatría, ubicado de los cajeros automáticos 100 metros al norte y 50 metros al este, para mayores informes y anotarse para el grupo del mes de junio pueden comunicarse al 2212-1173.
a programme for the attention of caregivers of older people he put in the service of the population, the hospital RAFAEL ANGEL Calderon guard with the intention to give them support psicoeducativo and psicoterapéutico and keep them from suffering the caretaker " syndrome ". This syndrome also known as caretaker burned is every day more prevalent between persons who are responsible for the daily care of patients or older adults with terminal illnesses, incapacitating or degenerative, and can cause in people responsible for these patients: Stress, anxiety, depression and frustration. such conditions are can make vulnerable to suffer changes physical, emotional and social, that can desequilibrar many aspects of their lives and create a different kind of conflicts that can complicate their daily lives. According to the doctor elí chaves safe, head of the service of geriatrics of that medical center who is in charge of the programme, it is very common that the children, husbands and other family members attending the consultation of geriatrics and are caregivers express their need to count on a network of support that will allow them to share with other people, their experiences and how to cope with difficult situations of the people that care. with that purpose, they opened this programme so that they feel more keeping them in this process. This group consists of 12 sessions of work that is being done on tuesday from 1.00 p.m. 3.30 p.m. in the service of geriatrics, located of cash machines 100 meters to the north and 50 meters to the east , for old reports and score for the group of the month of june can communicate at 2212-1173.